You are a fullstack developer expert on a MVC framework? You are a frontend developer and you are also willing to work on the backend? In any case, you want to work with a stack in Rails / ReactJS in a team organised in squads and which uses all the best practices (TDD, code review, pair programming, …)? You want to work in a startup that has a positive impact on the lives of millions of people? Then join us to revolutionize the healthcare sector! 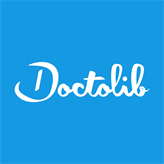 Doctolib is looking for a fullstack dev to join its growing and dynamic technical team in order to keep offering an amazing service to doctors and patients. We are a French team of 50 people, including 25 developers. Founded in 2013, Doctolib is the #1 online and mobile booking platform and management software provider for doctors in Europe. We help patients book doctor or dentist appointments 24/24 and 7/7 within a few clicks and we offer doctors a full-range service to improve booking management, reduce no show and bring new patients to their office. We are already working with 40 000 practitioners and about 900 healthcare establishments! Each month, there are more than 15 million people on our website. - Service: Delivering an outstanding service. - Passion: Being passionate and creating fun. - Ambition: Being ambitious, with no limits. - Humility: Being humble and sensitive to others. - Great office in the heart of Paris! - A few DoctoParties, DoctoMonthly Meetings, DoctoBeers, DoctoWeek-ends..
- The opportunity to revolutionize a whole industry ! - The job is located in Paris !